If you like football and watch FIFA World Cup 2014 in Brazil, you should drink champagnes from Taittinger because it is official sponsor. 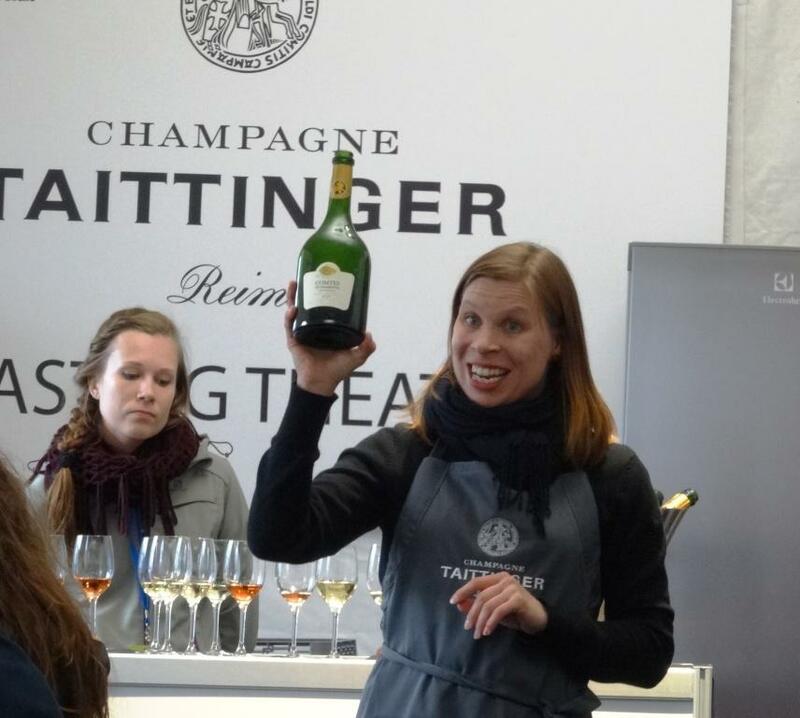 During Taste of Helsinki there was opportunity to participate in Taittinger champagne tasting. 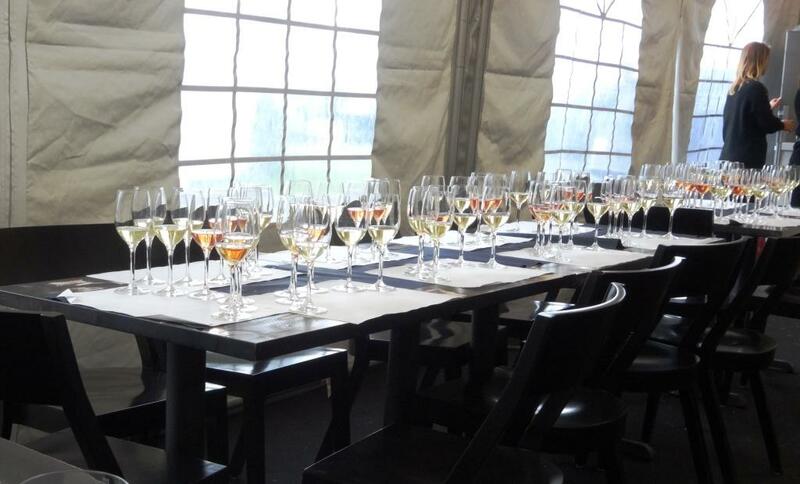 You must purchase tickets in advance because tasting events are so popular that they are always sold out. We almost missed opportunity becase had tickets for Friday but due to work obligation could not been able to participate. Luckily Taste of Helsinki founder Barry MacNamara personally helped us to change tickets. We arrived early because of cold weather. Tasting pavilion was warmest place at picnic area. 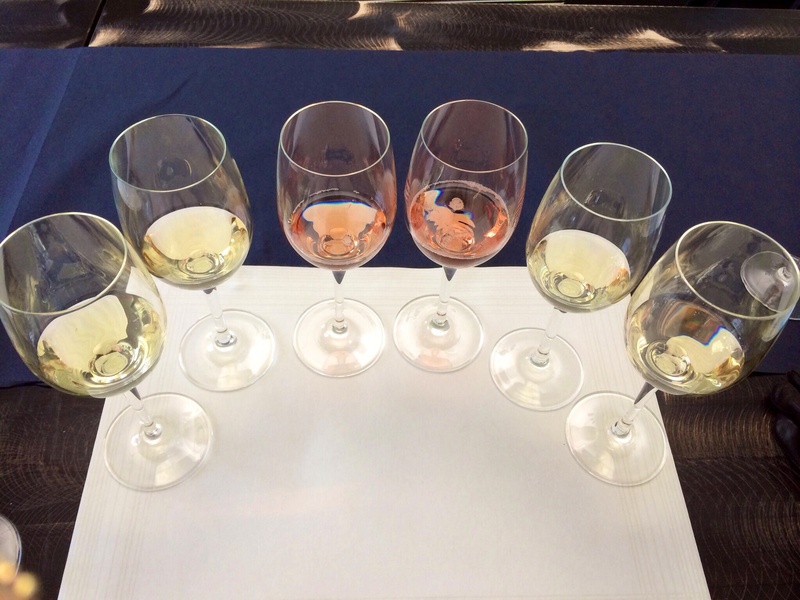 Six different champagnes were already poured into the glasses before event opening. Tasting started from right to the left. Luckily we had our own bottle of San Pellegrino with us, because there was no water available. And without “cleaning” mouth between sipping different wines it makes it quite difficult task to recognize characters. 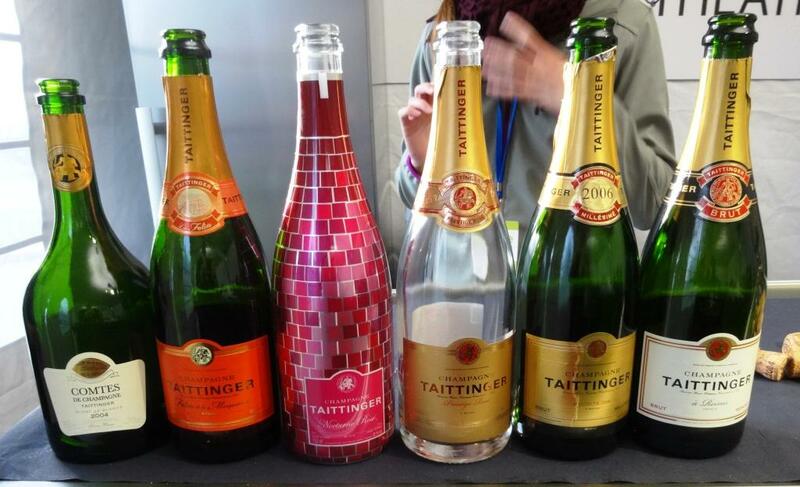 Basic Taittinger, should be similar since 1980. 40% Chardonnay, 30 % Pinot Noir, 30 % Pinot Meunier. Amount of Chardonnay makes this wine balanced and enjoyable. Golden yellow in color. Taste is crisp and harmonious. Strong and with lots of acidity and minerals. 50% Chardonnay, 50% Pinot Noir. Color is golden yellow. Taste is balanced but a little bit contradictory. This wine is suitable even with meats, said sommelier. Maybe have to try…..
Champagnes are classified as white wines but this wine is rarity because producer adds 15% red wine (Pinot Noir grapes). 30% Chardonnay. Vibrant pink color. Taste is fruity and fresh. Champagne for celebrants and after dinner. Idea for bottle design comes disco balls. 17,5 g/l dosage of sugar makes this wine sec, not brut. 30% Chadonnay, 70% Pinot Noir and Pinot Meunier. This wine is actually really enjoyable, can recommend. Classic wine, 45% Chardonnay, 55% Pinot Noir. This wine was not our favourite; would say price/quality ratio is suffering. Nobel blanc de blancs champagne, 100% Chardonnay. Unfortunately this was already too warm because it was tasted last. However, wine was introduced with enthusiasm. Taittinger champagnes are elegant and suit for any occasion. It would have been nice to be able to taste enough cold drinks but as they were poured beforehand, of course they were a little bit too warm. But as the weather was so cold, it did not bother too much. And champagne tastes always as good. Do you find that in Finland? Will have to try next time I am in Spain! Too bad about the temperature of the Comtes–one of my favorite BdB!